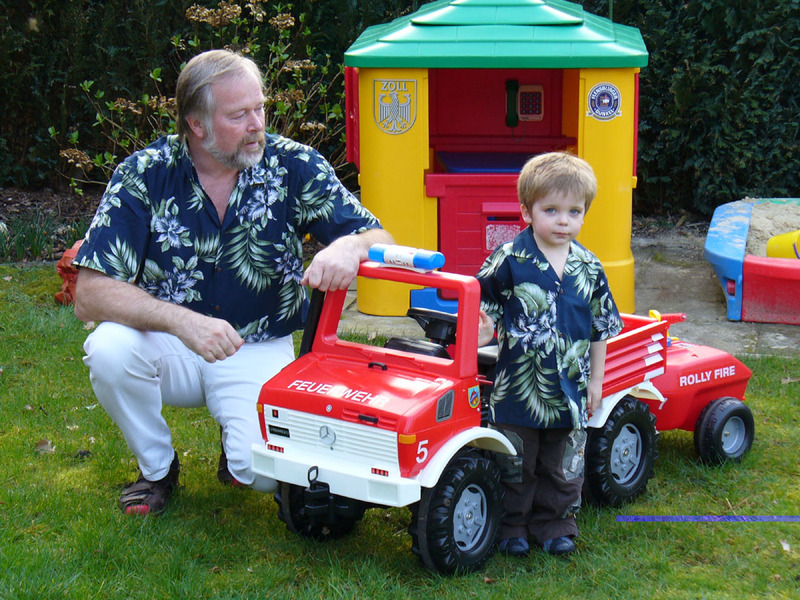 Aloha,dear friends, my little son and I always like to wear all the beautiful and gaily coloured hawaiian shirts, you have send us. 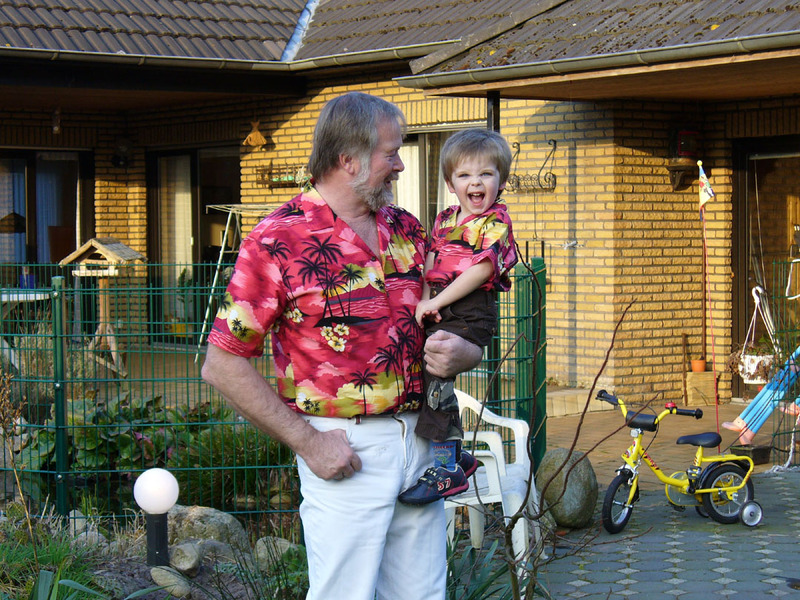 I have a lot of pretty pictures with wonderful shirts from you, but I cannot send them all to you. I think, we need more from these colourful outfits.